Students and Dalit organisations across the country led demonstrations in the memory of Rohith Vemula. 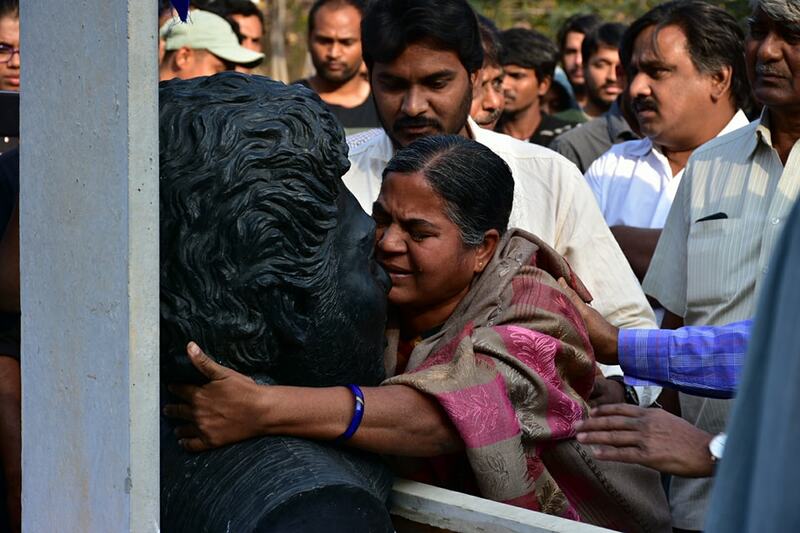 Two years back on this day, January 17, Dalit research scholar Rohith Vemula committed suicide in NRS hostel in University of Hyderabad. After protesting for two weeks against his suspension along with four other Dalit students, losing hope, Vemula took the extreme step. Outraged over his demise, students of the University led a collective struggle demanding the arrest of University’s Vice-Chancellor P Appa Rao, the then MHRD Minister Smriti Irani, the then Central Minister Dattatreya and ABVP activist Susheel Kumar who were influential for the suspension meted to the five Dalit students. The struggle transformed into a nationwide students and Dalits movement which brought to the forefront, the discourse on the condition of Dalit and marginalised students and the functioning of the Educational system in the country. However, when the central government appointed Roopanwala committee claimed that Rohith Vemula is not Dalit as his father belonged to Vaddera caste (OBC) and his Mother belonged to Scheduled Caste- Mala community, no police action was taken against the accused. In his suicide letter, Vemula wrote “My birth is my fatal accident…. The value of a man was reduced to his immediate identity and nearest possibility. To a vote. To a number. To a thing.” His letter explained his struggles in his life for being born as a Dalit who eventually became an Ambedkarite student activist. Hyderabad University’s Ambedkar Students Association has organised ‘Rohith Shahadath Din’ in Vemula’s memory on his second death anniversary. Students have taken permission from the campus authorities to allow Radhika Vemula along with six others including Kancha Ilaiyah inside the campus and address the students gathering in Savitribhai Phule auditorium. Last year, on the same day, Telangana police had arrested her when she had tried to enter the campus. After her son’s demise, Radhika Vemula has been raising her voice against Dalit oppression and has become a part of the Dalit movement in the country. 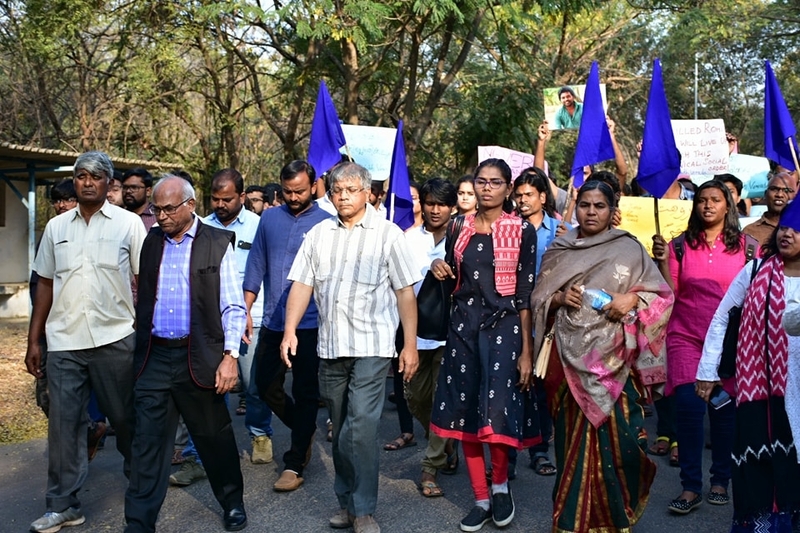 Students from Jawaharlal Nehru University, Delhi University, IIT Madras, Osmania University, Tata Institute of Social Sciences and other state and central universities have participated today in demonstrations, rallies to commemorate Vemula’s death anniversary. Framing and promulgation of a ‘Rohith Act’ which can safeguard the students from marginalised sections in Indian Universities was another main demand from student communities after Vemula’s death. While various political parties, student organisations and social scientists have suggested various drafts for a separate act in Rohith Vemula’s name, however, it has not seen the light of the day in the current BJP-led central government.